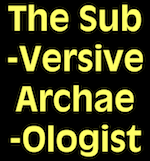 The Subversive Archaeologist: The Paleo Diet and the Question of Cooking at El Sidrón Boils Down *cough* to n-alkanes. Who Could've Predicted? Er..., I've no wish to wriggle out of anything, but you are right Rob, that insect waxes contain significant amounts of n-alkanes - 30% in the case you cite, as you say. The 'problem' is the fact that this same wax (and typical of insect waxes) is also accompanied by 31% of branched alkanes, according to the table (so about the same). IF it was an insect wax in the dental calculus of the El Sidron Neanderthals then we would also expect to see significant amounts of branched alkanes TOO. The fact that branched alkanes are absent and we ONLY see n-alkanes IS typical of 'boring' plant waxes, but NOT the 'crazier' insect waxes, where their chemistry is much more interesting (well to me, anyway...!). One could try to suggest that the branched alkanes degrade much more easily compared to the n-alkanes, so it could still be an [albeit degraded] insect wax. Unfortunately, that's not the case; they degrade at a similar rate and are normally fairly resistant to decay (this 'diagenesis' is a key part of our approach). IF this wasn't about Neanderthal diet there would be a general agreement between the scientists on 'plant'. But of course it is! I would say that scientists like myself SHOULD be questioned about our results, rather than be seen as 'all-knowing beings' [we're NOT! ], and people swallowing the science whole - this DOES happen far too often. We find true understanding by asking 'why? ', NOT by looking at how big the name is and deciding whether to 'trust it'. In this respect, I'd like to thank Rob for questioning the science. Science can be powerful, but it is certainly not infallible, and nor does it have all the answers. In my PhD thesis (some time ago now) I had a quote I felt was apt - 'Believe those who are seeking the truth; doubt those who find it.' (Andre Gide). Indeed! I confess I’m beginning to find our conversation a bit frustrating, SB. By the way, all those comments about you wriggling, being a maven and so on are meant to be good-humoured teasing. In anthropology it would be considered a sign of what’s called a ‘joking relationship,’ which itself indicates a good-natured cameraderie. I hope I wasn’t being too presumptuous in defaulting to such jests, given that we’ve never actually met! Let me explain using your latest comment, in response to which I’m writing at the moment. 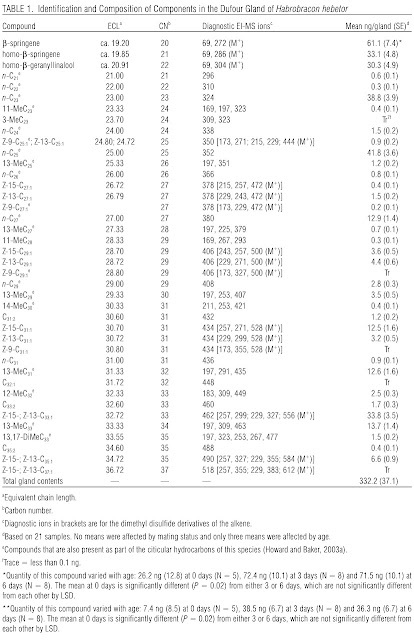 In your paper you publish reconstructed total ion chromatograms, and not the original data, as is the case with the Howard, et al. paper on insect paraffins. Compounding my confusion is the way in which you've chosen to report on what’s revealed by your analyses. In your Fig. 1, for example, you name a few unique compounds, while referring to others by their group names, such as alkanes. In your supplementary material you publish a table, which you freely admit is selective. ‘We have given likely credible sources based on the chemistry and botanical and archaeological context; we do not suggest this list is exhaustive.’ I could find nowhere in your paper where you state that branching alkanes were totally absent. My latest blog post was predicated on your earlier statement that, while insects ‘are usually accompanied by branched alkanes and alkenes too – you actually quote these in your piece. Plant wax esters, on the other hand, produce n-alkanes.’ I had another look and saw that the insect paraffin contained heaps of n-alkanes. As a reader of your paper and of the supplementary material, and like most of your readers in no way an expert on plant and insect paraffins, how was I to know that your samples contained NO branching alkanes? I hope you can understand why I find this frustrating, at the same time that, I fear, you’ll be finding this quite tedious. In this, perhaps my last gasp in the life of this conversation, I would like to comment on your statement that both types of alkane degrade at a similar rate (and my recent research reveals that the branching form are slightly less susceptible to biodegradation than their straight counterparts). However, that same research has discovered that branching alkanes are highly susceptible to fragmentation.’ And, although you don’t refer to this process in your paper, the insect paper than I’ve been referring to, in stating the methods, makes this statement, which I find interesting only because it relates to a process that for all I know could result in differential visibility of straight and branching alkanes. 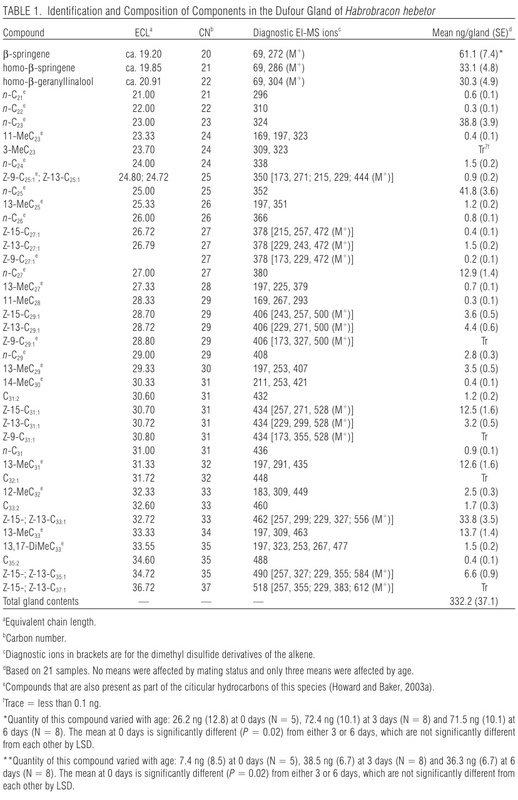 Here is what the insect people say: ‘Hydrocarbon components were identified from their characteristic EI-MS fragmentation patterns..[references]…in conjunction with equivalent chain length values.’ I must show my gross ignorance, once again, but I must ask you if this was a standard step that your analyses included, and as such you saw no need to report. Or, is there something special in what Howard et al. did, perhaps to reveal the fragments of branching alkanes that would otherwise have been invisible? I’m sorry to have to be such a bother, SB. It’s not that I don’t trust you, or think that you’re being in any way disingenuous; I simply need to know for my own peace of mind. It's the veggies that make you healthy!